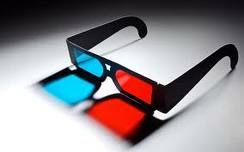 Remember when seeing something in 3-D meant gazing through flimsy red and blue cellophane lenses? Everyone thought those glasses were the coolest thing since ice cream. Well, technology has surpassed those cardboard framed miracles by far. Since that time researchers have dug up much more information on how our vision works, powerful computers are in every home, and quite a large number of us have the computer wherewithal to produce really stunning and lifelike graphics. All of these facts have combined to bring 3-D technology to an astonishing crescendo. Back in the 1990's, computer gamers were wowed by the game Castle Wolfenstein 3D, which changed the face of computer gaming forever. The game's backdrop was a castle built like a maze. It was possible to move forward and backward, and you could use your keyboard to make a 360 degree turn. At the time, this was an awe-inspiring innovation. Since then, computer gamers have come to expect graphics on a much higher technological level. The animations are smooth and lifelike with a surprising grace. But no matter how much these graphics resemble what we see in real life, they are still bound by the constraints of your computer screen, and that's where things go flat—quite literally. Your screen is flat and that limits the sense of realism. A light bulb must have gone on for some scientist, because someone put his head to the grindstone and came up with PC 3-D glasses. These marvelous spectacles fool your brain into believing that your computer monitor is a three-dimensional object. To understand how this works, we first need to have a basic understanding of human vision. Because human beings have two eyes, set side to side and close together, you get two different views of the same visual field. If you want to demonstrate how each eye sees things just a bit different from the other, close one eye and look at your monitor. Now close the other eye while keeping the focus the same. It looks as though your monitor has moved into a different position, though it hasn't moved at all. What your brain does it to translate the data it has received from both of your eyes into one whole image. Your brain understands the difference between the two pictures as depth. The end product—the whole image your brain helps you to see—is a three-dimensional one. The three dimensions include height, width, and depth. The third item, dimension, contributes to our ability to see the relationship of our bodies to our environment. This is why three-dimensional vision is also called stereoscopic vision. We can see things moving at or away from us, and we have peripheral vision that aids us when we cannot turn our heads. Some scientists feel that this type of vision came to us as part and parcel of the evolutionary concept known as survival of the fittest. Our stereoscopic vision protects us from many dangers on a minute to minute basis. Think of all the things you couldn't do without stereoscopic vision: driving, threading a needle, shaking hands, pouring liquid into a container—these tasks would be very hard to accomplish without depth perception. 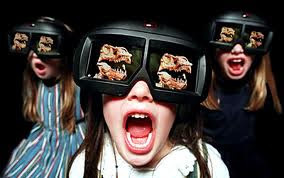 Just as our eyes give us the gift of depth perception, PC 3-D glasses attempt to bring depth perception and realism to our virtual world, as well.